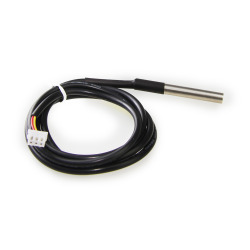 This is the temperature sensor based on chip DS18B20 consisting of a waterproof probe and long wire shape, which is perfect for immersive temperature detectionor detectingg something far away.The DS18B20 provides 9 to 12-bit (configurable) temperature readings over a 1-Wire interface, so that only one wire (and ground) needs to be connected from a central microprocessor. 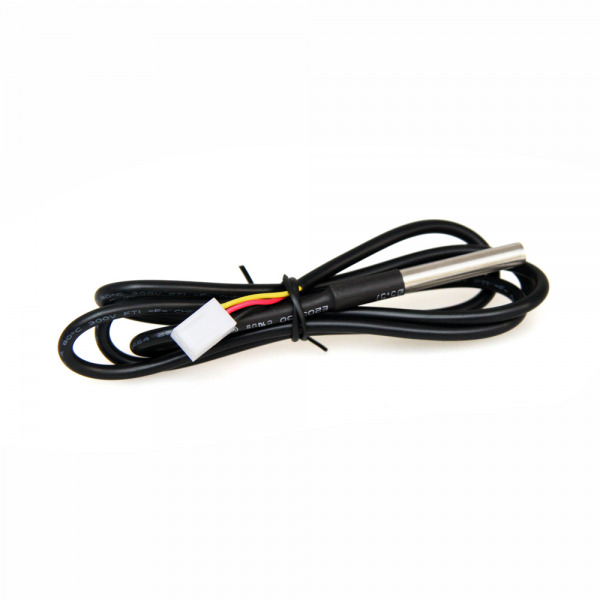 The original one includes three wires inside，we adjusted it into a 3-pinconnector so that you can use it simply with Makeblock Me Adapter. (there is no soldering required to connect to our Me BaseBoard just like below picture). 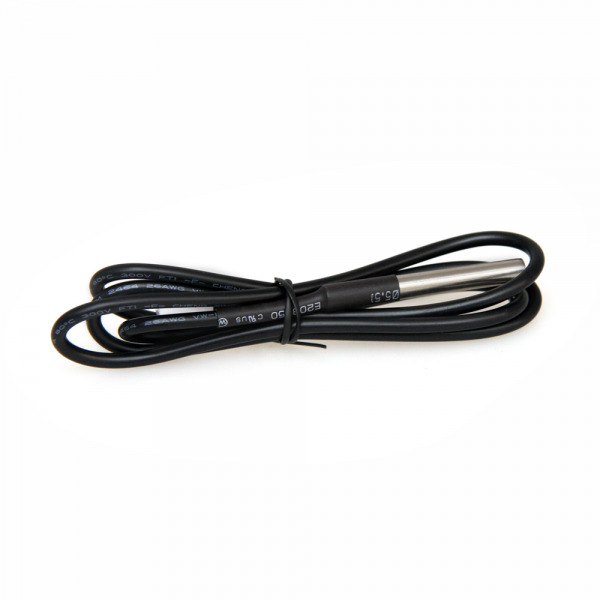 Please note that while the sensor is good up to 125°C, the cable which is jacketed in PVC will be damaged easily, so we suggest keeping it under 100°C.